An FBI agent teams with the town's veteran game tracker to investigate a murder that occurred on a Native American reservation. Wind River is directed by Taylor Sheridan and was released on Aug 18th, 2017. 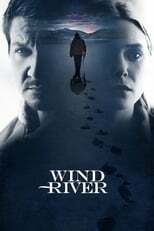 Director Taylor Sheridan's Crime & Drama movie Wind River is produced by Savvy Media Holdings & Thunder Road Pictures & was released 2017-08-03.